Over t he last decade, some ace automation companies have had the opportunity to supply some thousand clients with linear actuators for applications like boat hatches, anchors, steering controls and many more marine purposes. To most people, having a pleasure boat is nothing but synonymous to sheer luxury living. Whether it’s a small motor boat or a large luxury yacht, the owner will definitely expect a certain level of personalization with some added automated features that will set his yacht apart from the crowd. As an owner, you will surely enjoy the versatility and flexibility of the linear boat actuators which are suitable for internal and external comfort solutions. Actuators are devices that can produce short stroke unidirectional or directional motion, that too without any linkage. The linear actuators produce motion by building up a magnetic field that is created by magnetism and this enables motion. Within yachts, linear boat actuators can offer a wide range of both indoor and outdoor use. Have a look at the ways in which you can use linear actuators in yachts. Radar arches: By producing a short stroke, a linear actuator can help in raising and collapsing arches. In these cases, the actuators are in-built and this makes it easier to work with lesser requirement of supervision. Raising and lowering the bathroom platform: The boat actuators tend to be a reliable tool during some of the most extreme conditions like less maintenance and corrosive and unruly environments. Actuators help in lifting and lowering the bathing platforms that you find on sailing boats which offers you access to water. Ventilation: The linear actuators also provide a highly reliable and effective option for automatic and manual window closing and opening. Through a linear actuator, you can get access to all those places that are not usually reachable like the casement windows. Raising TV stands: With the help of programming and remote control, the short and prompt stroke that is produced by the boat actuators can lift TV stands. This offers enough comfort to the sailors and also allows them to save space on the yachts. Hatches for boats: With the yacht actuators fitted, you can get easy storage places like engine compartments. With the boat actuators, you can also increase storage space with easy accessibility and less requirement of maintenance. Lifting height adjustable tables: Within the bedrooms on yachts and boats, the linear actuators can help you make adjustments to heights on dining and working tables and this will create less discomfort for the travellers. Adjusting the chair of the Captain: The Captain’s chair within the cabin needs to be adjusted so that the person can sit at various heights. When you fit in the actuators in such chairs, he will be able to adjust it easily. Now that you’re done with the multi-purpose benefits of boat actuators, you must be wondering from where to get it. 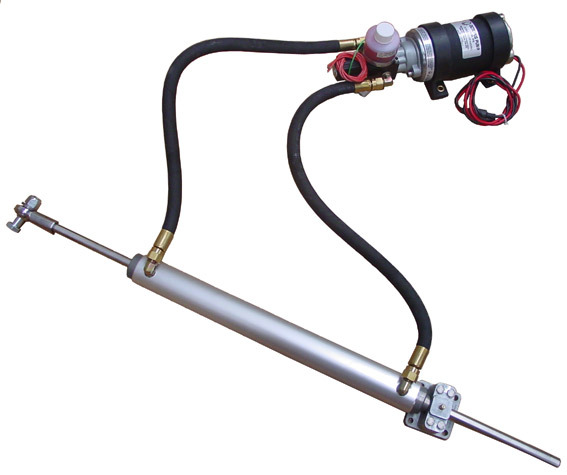 Well, there are boat actuators store from where you can get one for your personal use.